The iconic Appalachian Trail stretches for nearly 2,200 miles from Maine to Georgia, offering countless opportunities to enjoy the trail by day, then sleep on its legendary ground at night. Best of the Appalachian Trail: Overnight Hikes by Leonard M. Adkins and Frank and Victoria Logue is the perfect solution for those who want to experience camping along the Appalachian Trail without the commitment of a longer section hike or thru-hike. Traverse Virginia’s Three Ridges, enjoy North Carolina’s Mount Cammerer Loop, and summit Vermont’s Killington Peak. The book details 64 overnight hikes ranging from 10 to 30 miles in each of the 14 states that the Appalachian Trail passes through. Each hike includes the difficulty, trailhead maps, driving directions, and point-by-point descriptions. 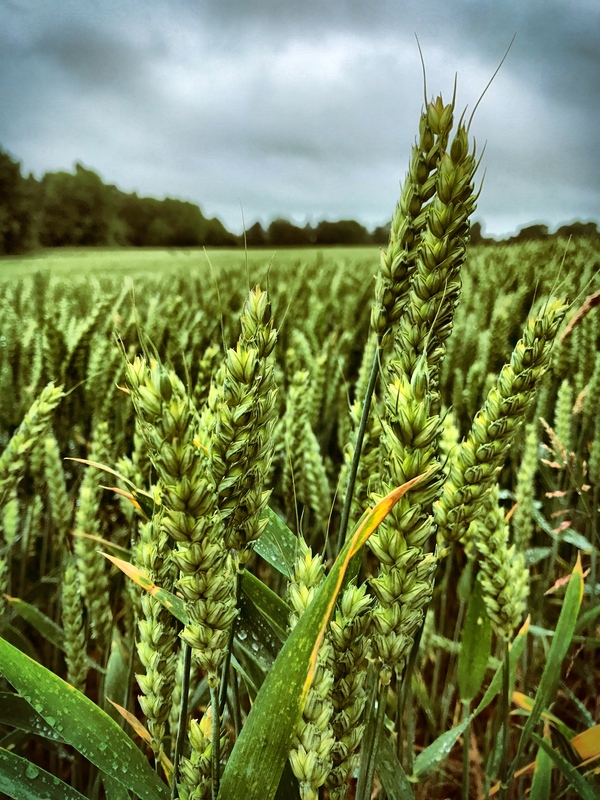 Leonard, Frank, and Victoria also include fascinating flora, fauna, and history tidbits for hikers to further appreciate the beauty of the Appalachian Trail. Leonard M. Adkins has been intimately involved with the Appalachian Trail for several decades. He has hiked its full length five times and lacks just a few hundred miles to complete it for a sixth. Leonard is the author of 20 books on travel and the outdoors. His The Appalachian Trail: A Visitor’s Companion received the Lowell Thomas Travel Journalism Award. Along with this thru-hiking wife, Laurie, he lives in Virginia, within easy striking distance of the A.T.
Frank and Victoria Logue hiked the entire Appalachian Trail in 1988, and they have returned again and again to hike its many sections on day and overnight hikes. Frank has also served on the Appalachian Trail Conservancy’s Board of Managers. The Logues live in Georgia, where Frank works as an Episcopal priest and an assistant to the Bishop of Georgia. Victoria continues to write, working on both nonfiction and fiction. From Maine to Georgia, the nearly 2,200-mile Appalachian National Scenic Trail is an iconic destination. But not everyone is able to take six months to hike the entirety of the trail. Best of the Appalachian Trail: Day Hikes by Leonard M. Adkins and Frank and Victoria Logue is the perfect solution to experiencing the wonder of the A.T. without the commitment of a thru-hike. Summit the iconic Katahdin in Maine, explore Pennsylvania’s Chimney Rocks, splash in Tennessee’s Laurel Fork Gorge and Falls, and find out where Blood Mountain gets its name. The book details 144 hikes in each of the 14 states that the Appalachian Trail passes through; previews the flora, fauna, and history of the A.T.; and offers point-by-point descriptions of each hike with trailhead directions. Hikes range in length from less than 1 mile to 11 miles. This is a very short hike–only 1.8 miles roundtrip–but the views are worth it. It’s the perfect length to pack in a better-than-ordinary picnic lunch. 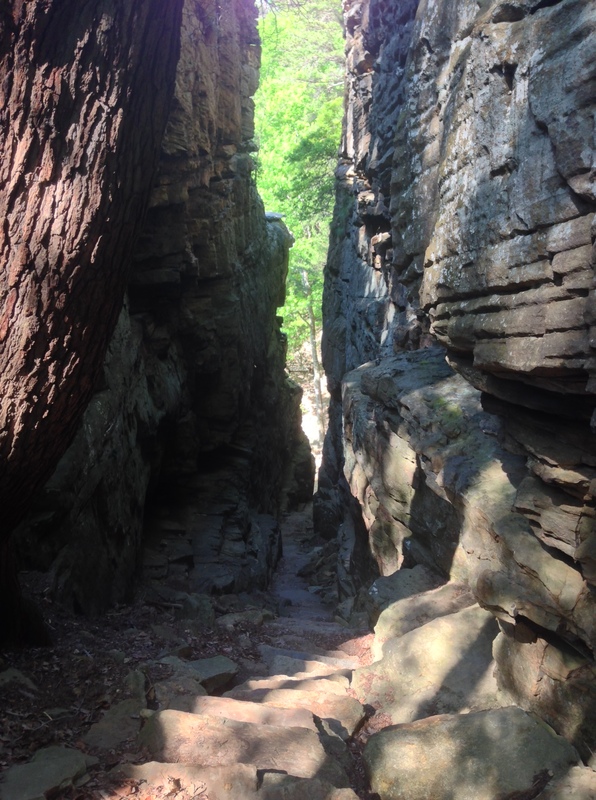 The Stone Door Trail is located in South Cumberland State Park in Middle Tennessee. This large park is comprised of nine different areas located within four counties—Grundy, Franklin, Marion and Sequatchie—and 100 square miles of south central Tennessee. The Stone Door and Savage Gulf areas contain beautiful panoramas, numerous waterfalls and rock formations. Other areas include Grundy Forest and Grundy Lakes, Foster Falls and Greeter Falls, Sewanee Natural Bridge, Buggy Top and Collin’s Gulf. Hiking, rock climbing, rappelling and caving (once they are re-opened) are among the activities available within the park. 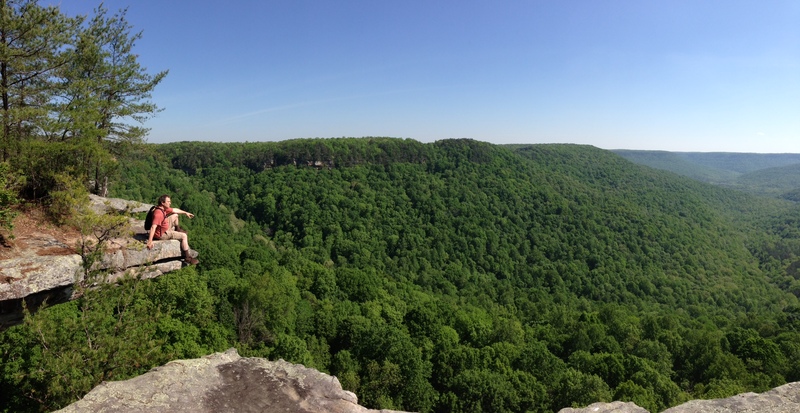 Also included within the park’s domain is Carter Cave State Natural Area, an enclosed-valley sinkhole called Lost Cove; Sewanee Natural Bridge State Natural Area, a sandstone arch overlooking Lost Cove; and Hawkins Cove State Natural Area, which was created to protect Cumberland Rosinweed, a type of sunflower that grows only the Cumberland Plateau. Directions: From Interstate 24, take Exit 134 or 135, and turn right on U.S. 41 South. Drive 4.5 miles to the Visitor Center on the left, where you can get more information. Or continue on to TN 50, turn right and follow the highway until it ends at TN 56. Turn left and follow the road to the Ranger Station on the right. Hours Open: The park is open for day use from 7 a.m. until sunset, unless you intend to camp in the backcountry (a permit is required). The Visitors Center is open from 8 a.m. until 4:30 p.m. The park is located in the Central Time Zone. The spectacular views from the cliffs adjacent to the Stone Door are alone worth this short-ish hike, but the Stone Door, itself, is an amazing 100-feet deep and 10-feet wide crack in the rocks atop the plateau that is one of those “can’t be missed” sights. Caution: The trail, itself, is only moderately strenuous and the usual caution about watching your step on the rocks and roots is called for. Once you reach the Stone Door, though, be particularly careful as the cliffs fall more than 700 feet to the gorges below. Trail Directions: From the parking area at the Stone Door Ranger Station in the Savage Gulf Trails area, follow the pathway to the trailhead to the right of the information sign and sign-in area at N 35º 15’ 8”, W 85º 44’ 51” (1). Begin hiking along the paved trail and cross a wooden bridge at .05 mile. This area is in a sensitive plant habitat, so it is important to keep the paved trail. At .21 mile, you will reach the overlook of Laurel Gulf at N 35º 26’ 42”, W 85º 39’ 10” (2). Laurel Creek gorge is below and the Stone Door cliffs are to your far right. Shortly after the overlook, the pavement ends and you will begin hiking on a natural path. At .43, .61, and .69 miles, you will cross wooden bridges over intermittent creeks. Continue hiking and at .86 mile, you will reach the junction with the Big Creek Rim Trail to your right, overlooks to your left and right, and the Stone Door to your right. Turn right and at .88 mile cross a wooden bridge to the overlook to your left. At .92 mile, you will reach The Stone Door, which is straight ahead and down the steps at N 35º 26’ 25”, W 85º 38’ 59” (3). 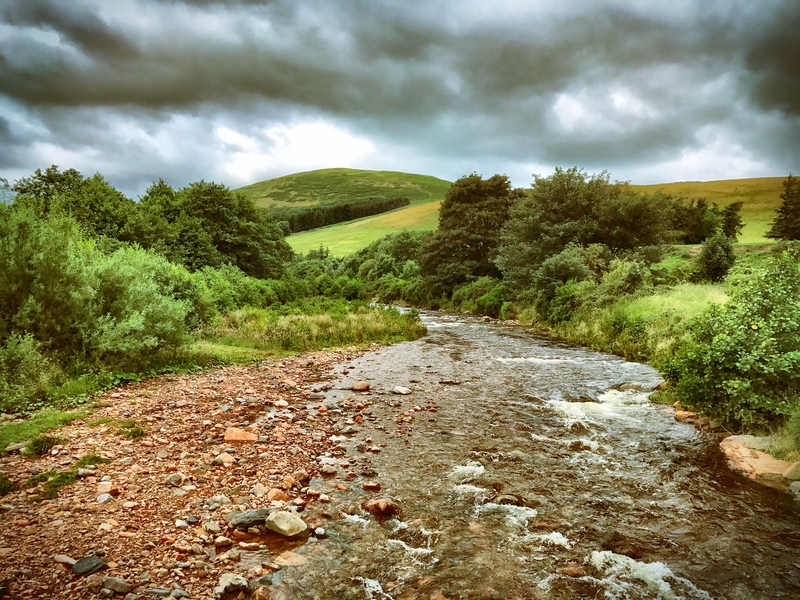 Some photos from our recent hike along Saint Cuthbert’s Way from Melrose, Scotland to Lindisfarne off the coast of England–about 75 miles, including side trails. 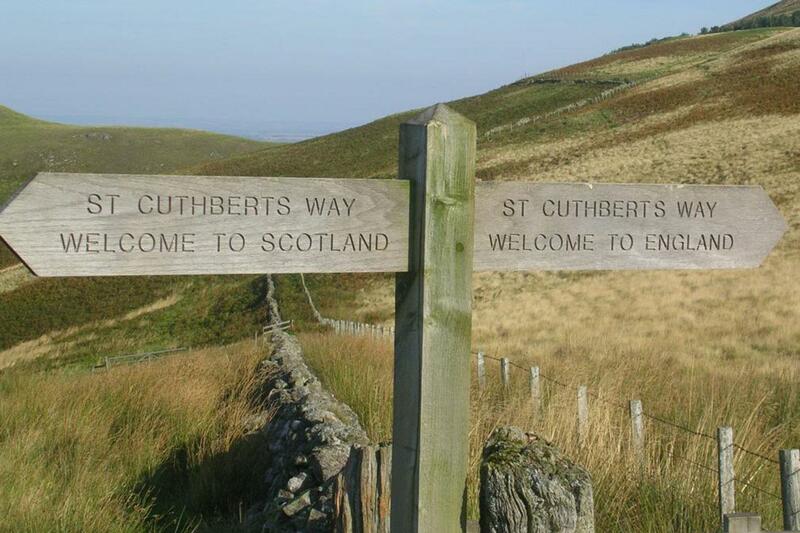 See the rest of the pictures at Saint Cuthbert’s Way. 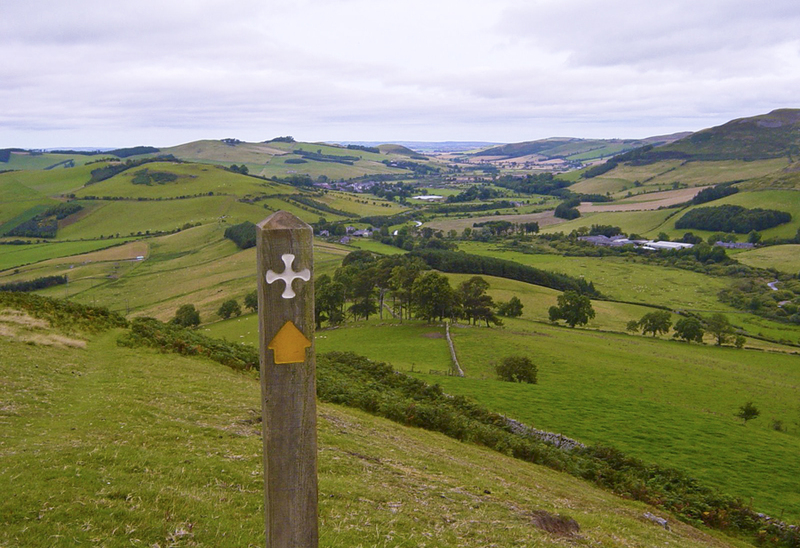 View from the trail of the Cheviot Hills. 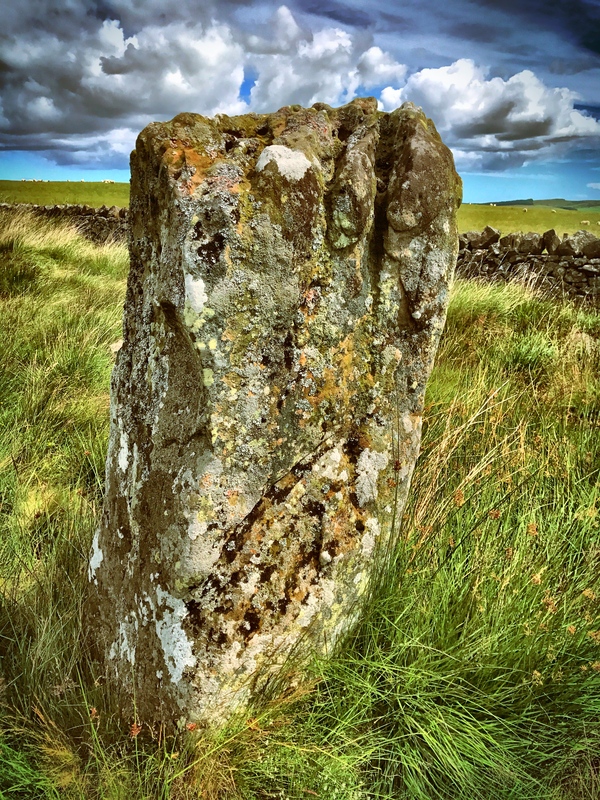 A 1.2-mile side trail led us out into the Doddington Moors where Cuthbert worked as a shepherd when young, and to this Standing Stone from 12,000-3,000 BC. 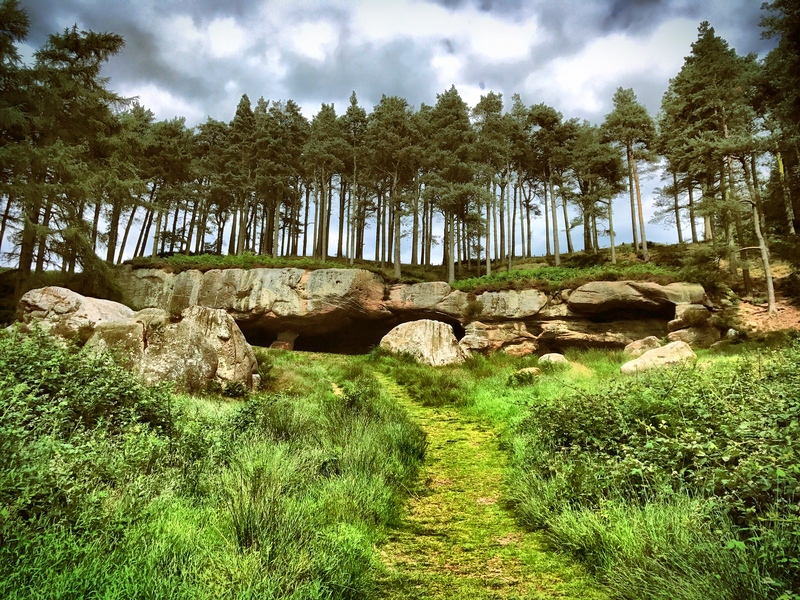 St. Cuthbert’s Cave where the monks of Lindisfarne hid the saint’s body when Vikings attacked the island. It is the height of summer in Scotland and the flowers are blooming profusely. 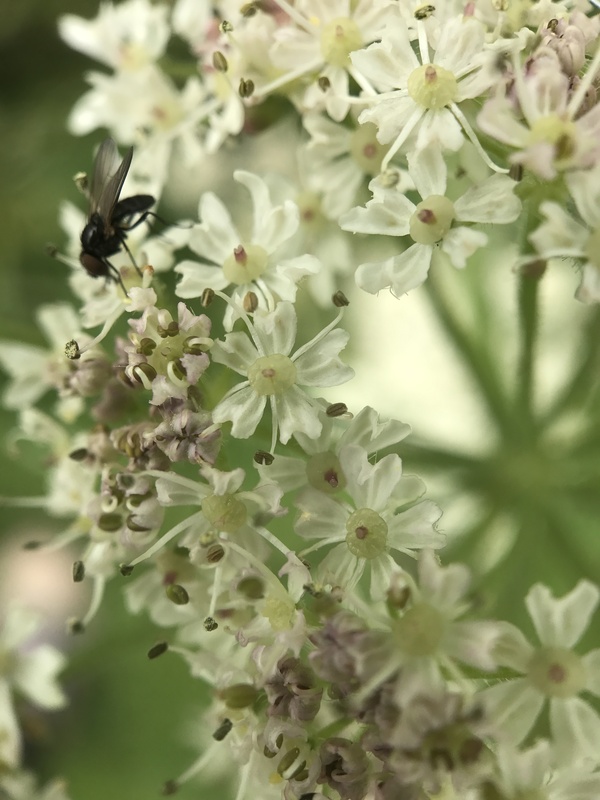 Here are several macro shots taken while in Edinburgh and along Saint Cuthbert’s Way in Scotland. If you wish to see the other six, you can find them here at my website: Macro Moments. 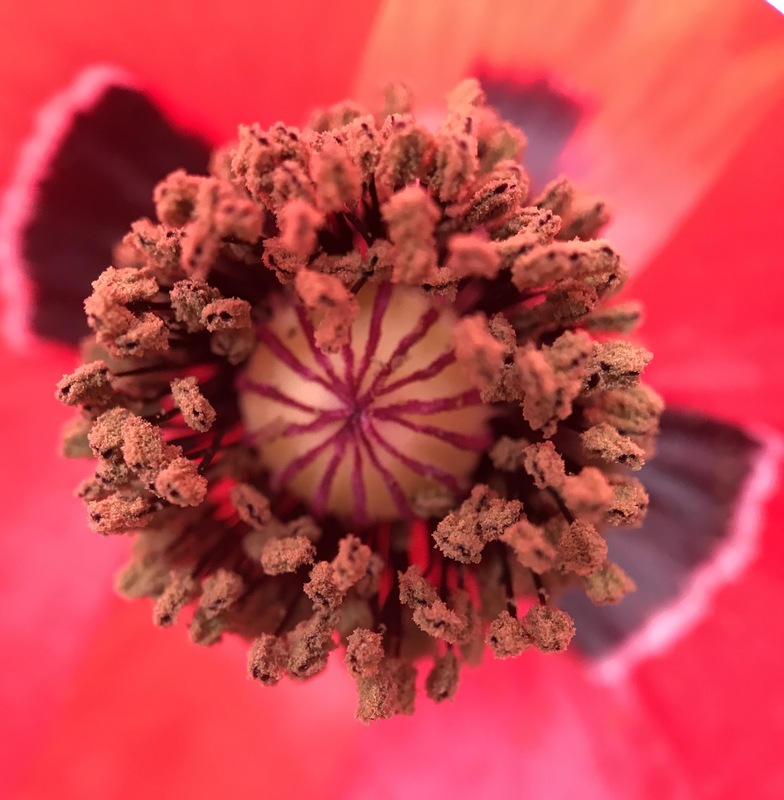 Poppy in the Greyfriars graveyard, Edinburgh, Scotland. 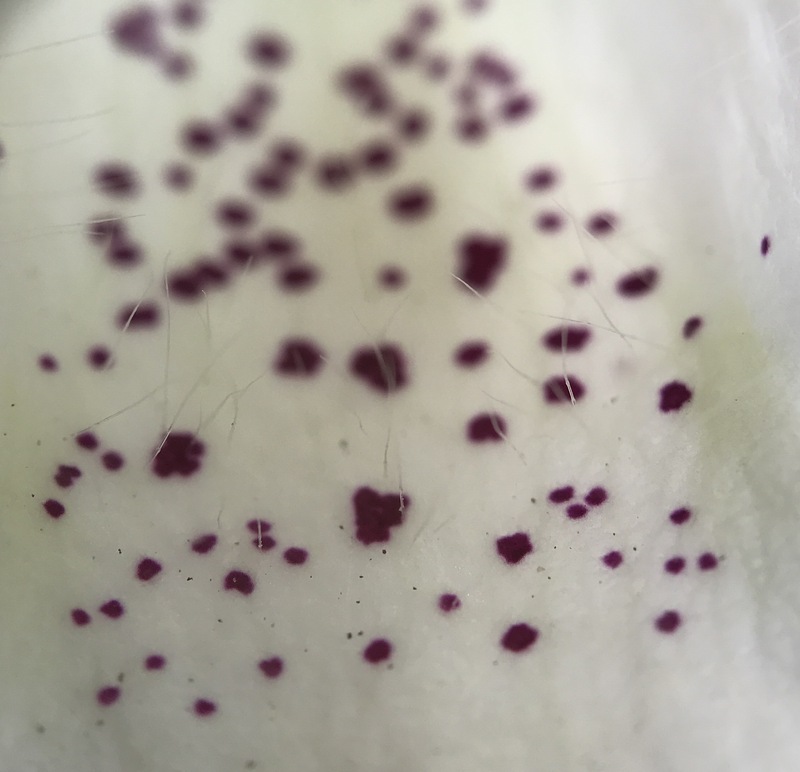 Foxglove in the Greyfriars graveyard, Edinburgh, Scotland. 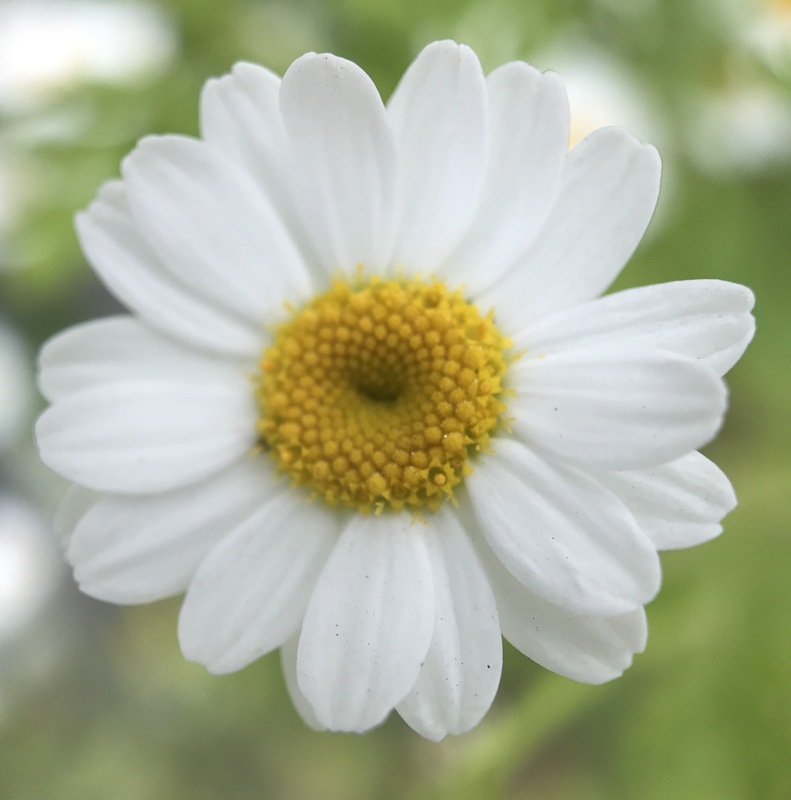 Little daisy in the Greyfriars graveyard, Edinburgh, Scotland. 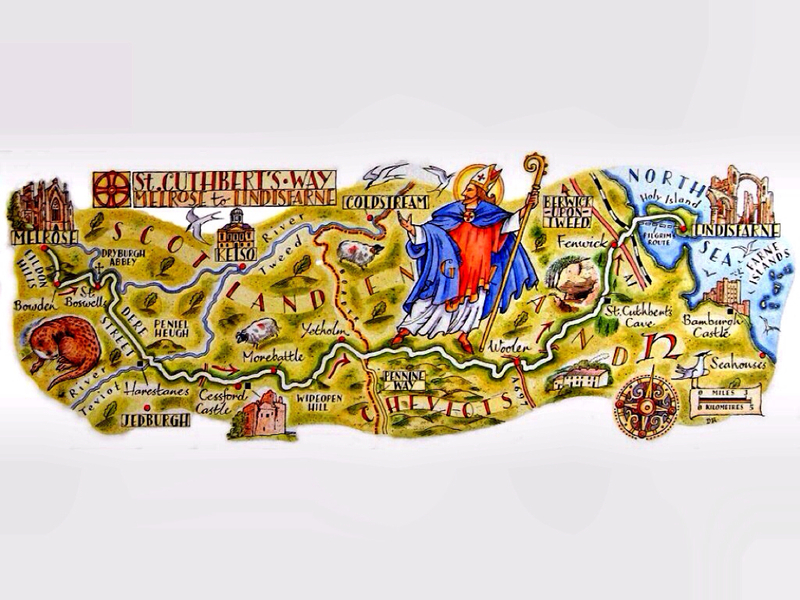 I’m currently in Edinburgh, Scotland, and on Tuesday we head to Melrose where we will begin our hike of Saint Cuthbert’s Way–walking 62.5 miles from Melrose in Scotland to Lindisfarne off the coast of England. Can’t wait to be hiking here!